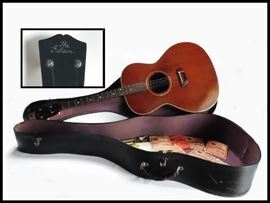 AddressThe address for this sale in Maple Grove, MN 55311 will be available after 9:00am on Thursday, April 25th, 2019. Good checks and cash accepted. No credit cards. Numbers will be passed out at 8am. Please bring your own help to load large items. PS Lots of folks are bringing their own reusable bags to carry home their treasures. 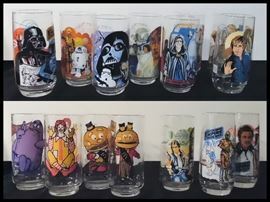 1970's - 80's Burger King and McDonald's Collectible Star Wars and more. 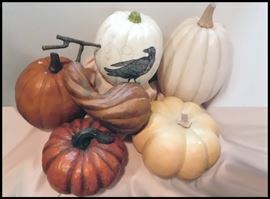 Large Decorative Faux Pumpkins and Fall Gourds. This is Halloween! Halloween! Halloween! 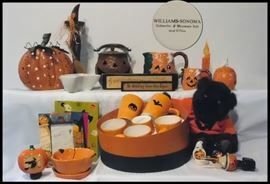 and some are Williams - Sonoma. 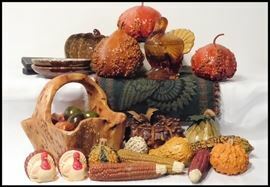 Autumn Decorations including a Beautifully Carved Wooden Basket. 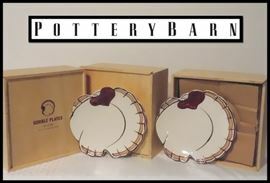 12 Pottery Barn Luncheon Gobble Thanksgiving Plates. 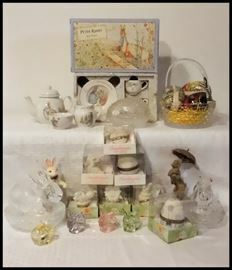 Easter Treasures including Peter Rabbit Wedgwood Tea Set, Snowbunnies and Fostoria. 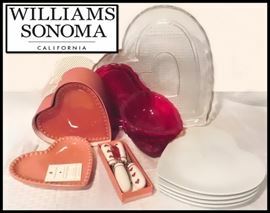 Sampling of Valentine Items including Williams Sonoma Heartshaped Luncheon Plates. Christmas Trees Village Birch and Bare Bark plus Large Wooden Santa and Reindeer. 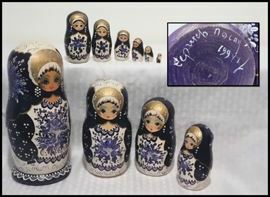 Ten Piece Nesting Dolls. Made in Minsk and painted in Gold and Prussian Blue. Nesting dolls from Russia . More Vintage Christmas Sisal Brush Trees. Collection of Russian Design Lacquered Boxes. Vintage Christmas Sisal Brush Trees. 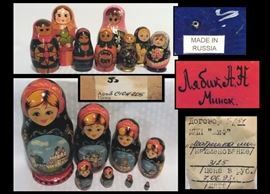 Collectible Dolls including an Engel Puppe Doll from West Germany. Lots of Haloween Pumpkins some with Electric Plug ins. Kursan Atomic Sylvania Train Cars and Track 1950's - 1960's. Tomy Atomic Arcade Table Pinball Toy. Batteries not Included. Tonka Hand Commander Prop Plane. One propeller missing. Plus a Group of Vintage Military Toys including Army fighters. Scandinavian Dolls and Elves. Bottom row made by Scandolls in Wilmar, Minnesota. Vintage Tyco Electric Train Set. Vintage 1970's Jumbo Mattel Shogun Warrior - DRAGUN. With box and throwing stars. 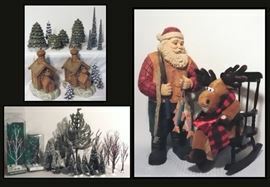 Christopher Radko Christmas Ornaments including Minis. New Reproduction Vintage-like Christmas Ornaments and Real Vintage Ones, too. Byers Choice Carolers, 14" Vintage Golden Christmas Tree and Charming Ceramic Village Buildings. Thomas the tank engine Trains and much more. Choo! Choo! Viewmaster and Reels plus Vintage Marbles. Barbie Hot Pink Convertible Car with Cheerleader Barbies and more. Deception Warrior Thundercracker Transformer 1984 by Hasbro. Madame Alexander Wizard of Oz Figurines. Two Each: Dorothy, Scarecrow, Tinman, Lion, Good Witch and Three Wicked Witches. TOOLS including Sanders, Planes, Saws, Drills and more. TOOLS including Stapler, Solder, Heat Gun, Saws and more. Delta 12" Band Saw. Model 28-190. Ceramic Pitchers including Monmouth and Royal Crownford Staffordshire Ironstone. Model of the Hercules Steam Tugboat built for Ocean Towing. Red Wing Pottery. Tea Sets, Teapots and Pitchers. Red Wing Dinner Plates in Various Patterns. More than 30 Red Wing Dinner Plates including Lotus Bronze, Magnolia, Iris, Grapes, Rose, Pepe and more. Yes, we have Golf Balls. Sampling of some of the Golf Clubs. Miniature Animal Figurines Featuring DOGS, Horses and more. 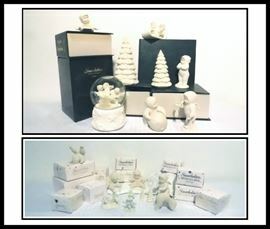 Vintage and Modern Christmas Ornaments, Music Boxes and Figurines.